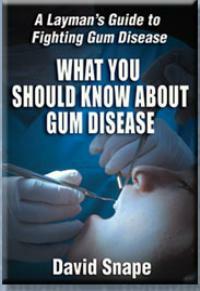 Gum disease is one of the strongest threats to your dental health today. It is, by far, the number one cause of tooth loss. Nothing else comes close. It appears that many people have already lost one or more teeth, have had dentures or implants installed and still are not aware that they lost the tooth to gum disease. Learn what you can do, starting today, to improve your dental health and to avoid expensive treatments at your dentist's office. 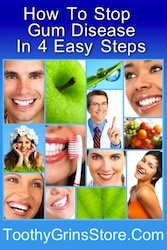 Prevention is the key to making your teeth and gums healthy and strong. However, many people are stuck on the notion that brushing and flossing alone are all that they need to worry about. However, the statistics that any dental health professional will confirm for you, state that up to 75% of people have some gum disease in their mouth right now! This is 3 out of every 4 people! Think about how staggering that is. Do not be a victim to a disease that hardly anyone talks about, but most people have - whether they know it or not. Do not be one of those people that are headed for expensive dental treatments, lost teeth and implants if you can avoid it! Read What You Should Know about Gum Disease and start to protect the dental health and budget of your family and | or yourself!